Welcome to an unscheduled post showcasing a couple of the cards from this holiday season. The Farmhouse Christmas Bundle includes the Farmhouse Christmas Stamp Set and the Farmhouse Framelits Dies. 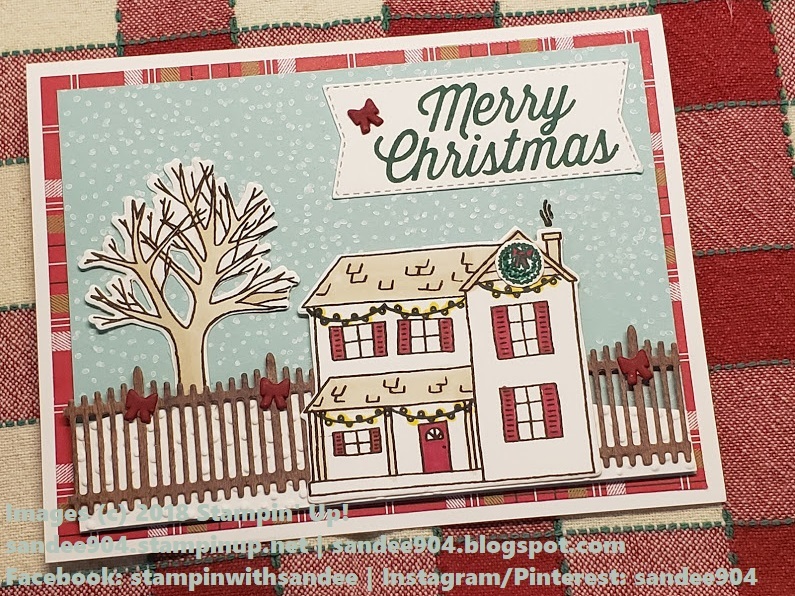 The Festive Farmhouse Suite was featured in my gift packing projects for the December Paper Crafting Monthly Blog Hop with Stampin' Up! demonstrators from across the globe. Click here to go directly to the post. I also used this collection/suite for my family holiday cards. 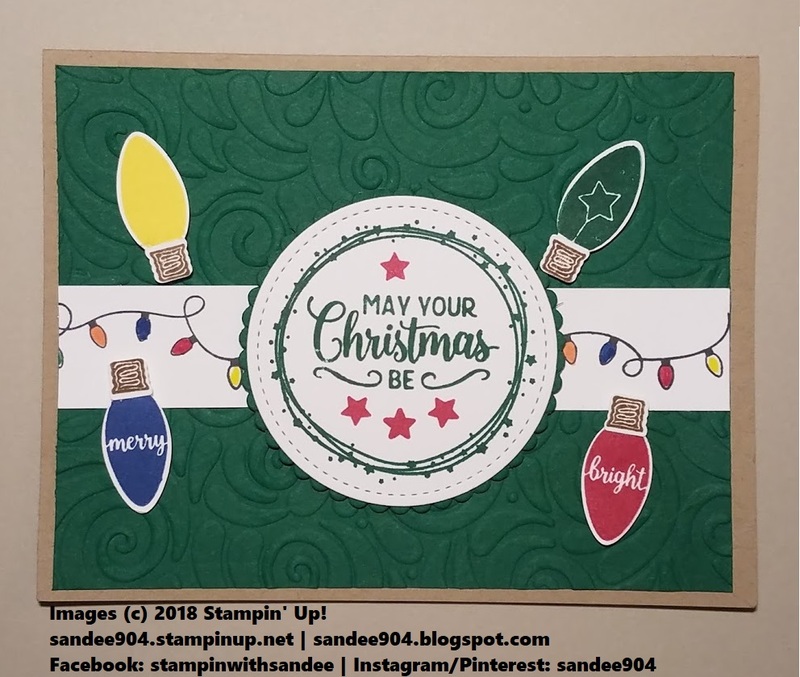 The card is a CASE (copy and share everything) from the card in the 2018 Holiday Catalog, p. 12. I made a few minor tweaks to make it my own -- full card front, added falling snow and the sentiment is on the front of the card. The Cookie Cutter Christmas Stamp Set (2017 Holiday Catalog Bundle) was my go to for gift tags this year, however, the truck/tree stamp from Farmhouse Christmas was my favorite pick for the guys' presents. 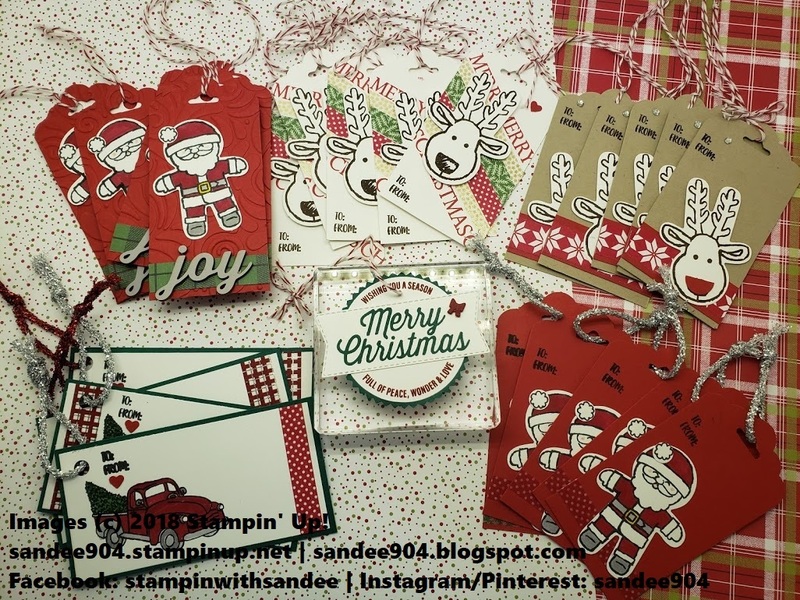 The Making Christmas Bright Bundle includes the Making Christmas Bright Stamp Set and the Christmas Bulb Builder Punch. This card was already posted on Instagram/Facebook. I think this one was my all time favorite. So many possibilities. As always, please leave a comment below with a trail to find you so I can see your creations. I would love to see them. I hope everyone had a very merry Christmas. I wish you Peace and Happiness in the New Year. All the supplies used in these projects can be ordered through my online store. Please use the hostess code found on the sidebar of my blog when ordering through my online store. The December Hostess Code was closed for those folks that wanted to place orders for delivery in time for the holidays so I have opened a second December Hostess Code. Do NOT use this Hostess Code if your order already qualifies for Stampin' Rewards ($150 USD). Are you just as excited as I am to see the January Paper Pumpkin kit? Be sure to subscribe on or before January 10. 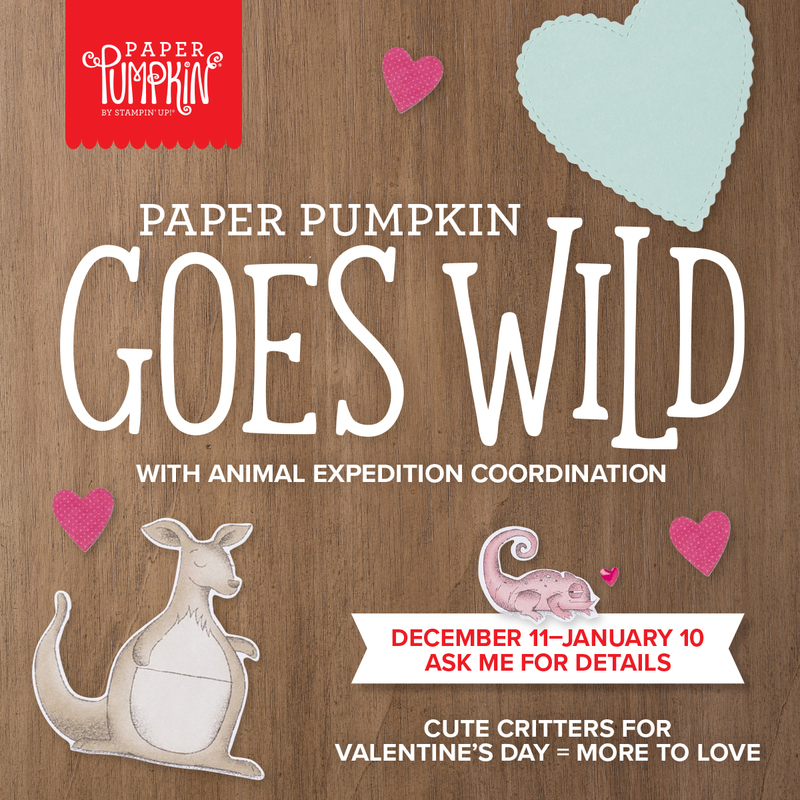 This kit is going to make some spectacular Valentine's Day projects.